With the fall collections arriving in-store at our Plano boutique, we’ve put together a list of some of our favorite effortlessly stylish fall women’s fashion for 2018. This season’s trends are all about camouflage and cozy, comfortable fabrics. Find out more about some of the favorite fall fashions from us at Scout & Molly’s. We absolutely love the fitted but comfortable way this fabulous Baci Camo Jacket wears. This is a wardrobe staple you can layer over almost any outfit to bring an immediate rock ‘n’ roll edge to your look. Toss on a T-shirt and skinny jeans or leggings and you’ve got the ultimate classic fall look. 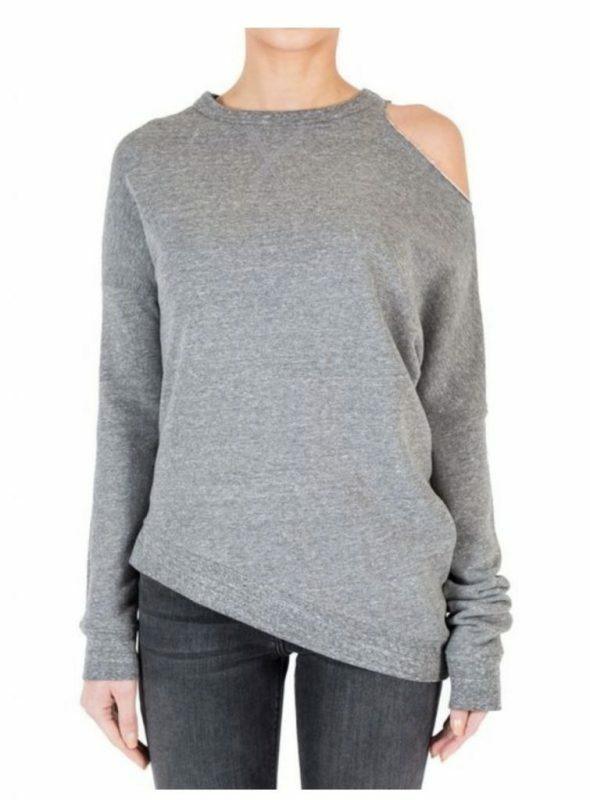 We can’t get enough of the shape of this Distorted Sweatshirt from Black Orchid Denim with its asymmetrical cut and shoulder cutout. Made from an ultra-soft material, this sweater lets you feel extremely comfortable while looking fashion-forward at the same time. Perfect for a cozy evening or for going shopping with the girls, this sweater works great with any pair of jeans. 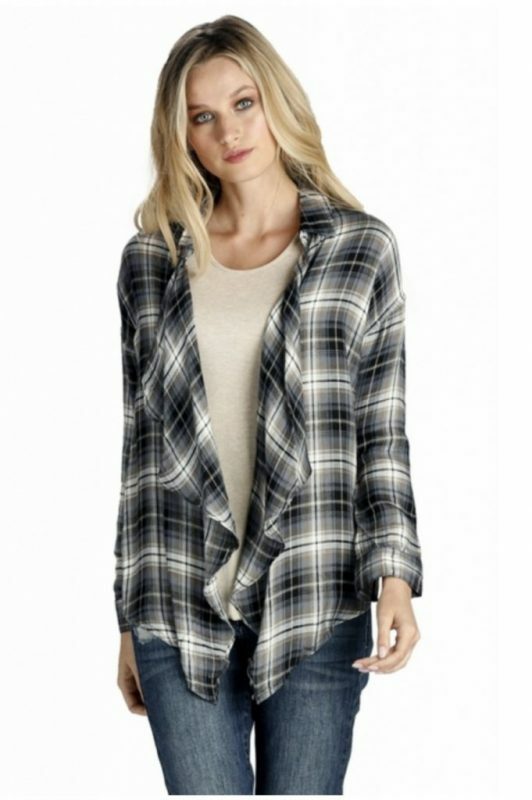 We had to include this on-trend take on the everlasting fall staple, the flannel shirt. The Jess Plaid Flannel by Elan features a wavy open front, adding a touch of femininity to this menswear-inspired wardrobe must-have. You can wear this over a T-shirt or long-sleeved top for added comfort. Add some distressed jeans and you have a cool casual chic look. We can’t believe how soft the Janet Open Front by Elan sweater feels. Throw this piece on over any outfit to immediately add a sense of effortless style to your look. This sweater can also be used to carry your look from day to night as the temperatures drop in the evening.